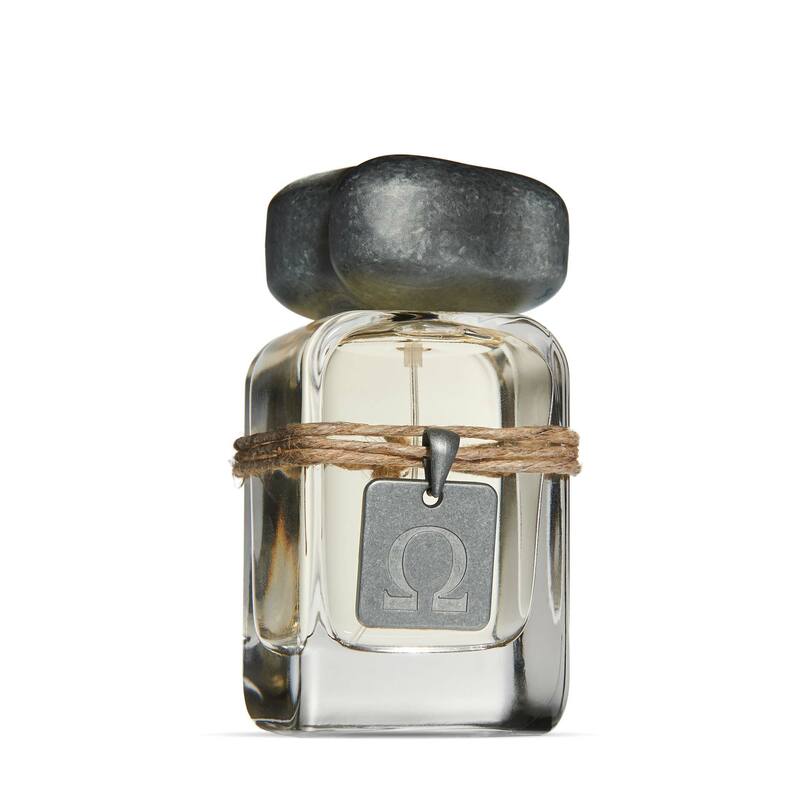 OSANG is inspired by this extraordinary annual miracle, a scent of viscous beauty, blood rising, shifting from inertia to bubbling resurrection. A miracle of love. 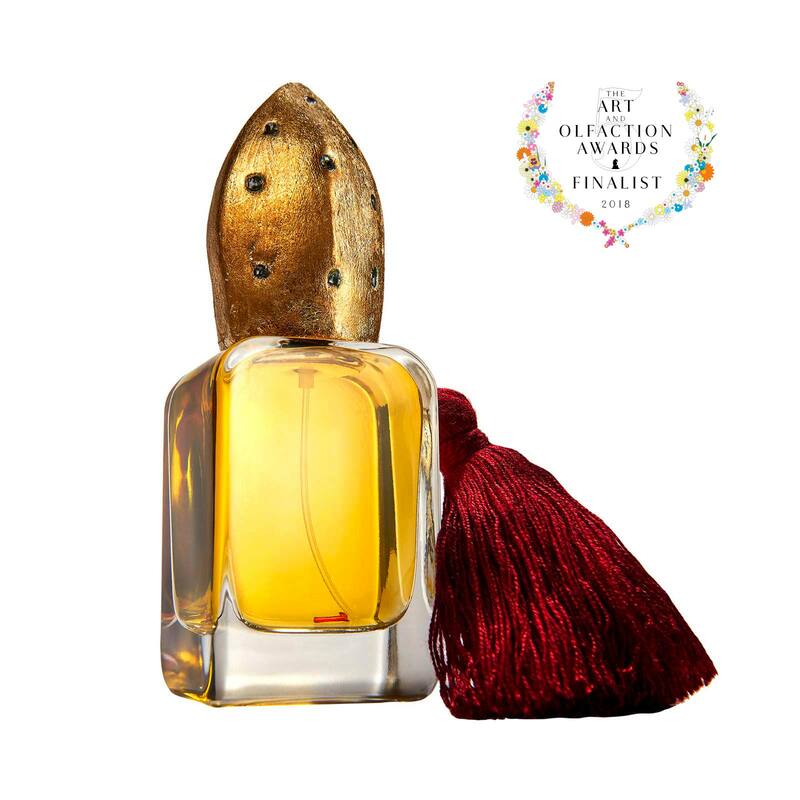 A perfumed celebration of saints and superstitions, centred around a ravenous fenugreek absolute note lavished with singed pyrazines, sacrificial myrrh and mournful molten honey poured over everything like amber rain. Meadow blooms, sticky dark resins, pungent balms and ashen clouds of iris swirl like dramatic weather. The miracle slowly unfolds from sunlit flowers through a sea of honey and glorious fenugreek, stirring our hunger into clouds of swirling darkness, golden hope and cindered skies. A perfume of darkness that slowly explodes into delirious, mysterious light, a Talisman of blood, seething with shadows and burning magic. OSANG. A miracle of scented love. An indelible prayer for skin. Naples is urs sanguinium, City of Blood, protected by patron saint San Gennaro. Three times a year his dried blood is presented to the people, hungry for love and miracles. If this holy treasure liquefies all will be well with Naples. If not, the earth will shake, skies blacken…misfortune might descend. This supernatural and holy liquefaction is a talisman of metamorphosis and protection. 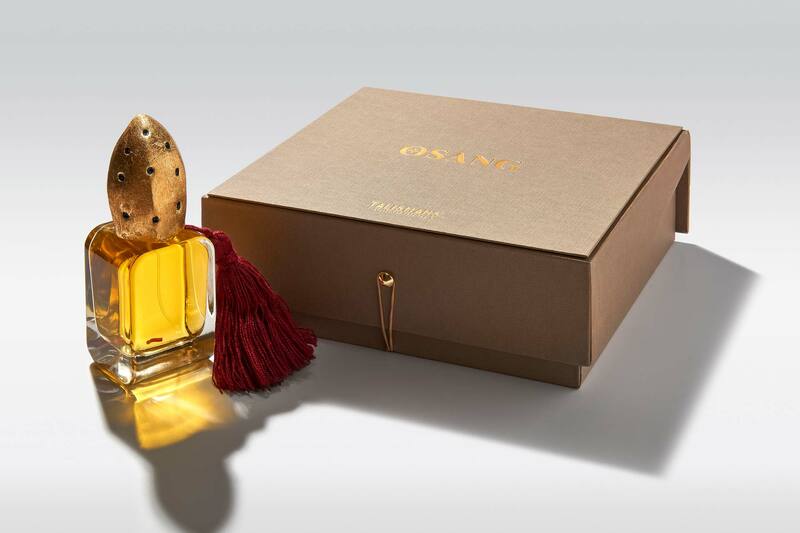 OSANG Extrait de Parfum is presented in luxurious hand-madeTalismans case. 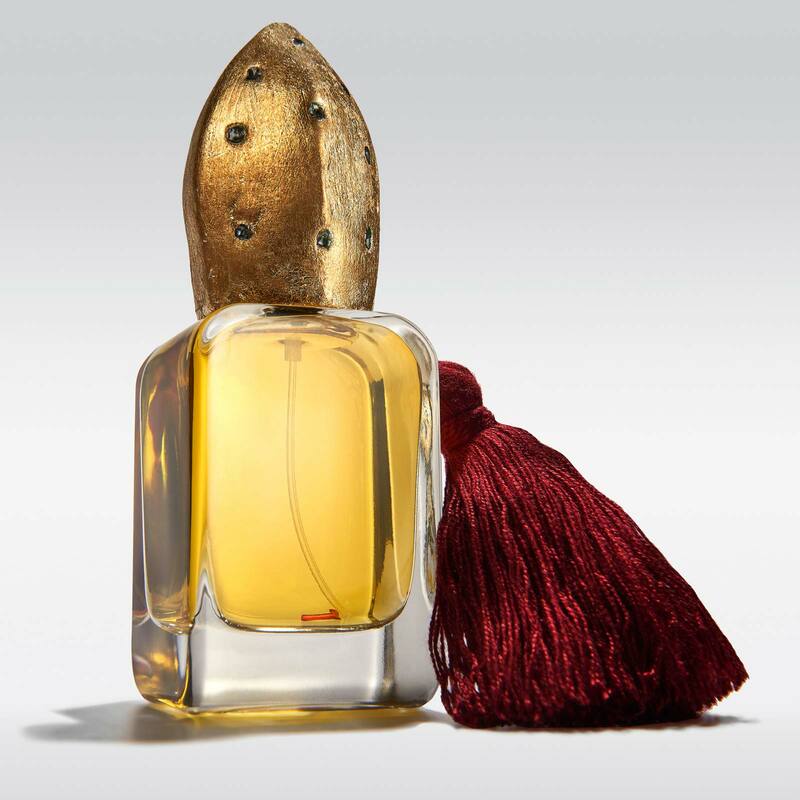 Its cap is the hat of the Saint in the interpretation of our sculptor, Alessandro Reggioli while bottle is adorned with a real sacred pending ornament piece. One of the most loved this year. Osang without a doubt is one of my favorite. I got a sample of it from twisted lily a few weeks ago and decided to try it this morning. Oh lord this stuff is simply fantastic. Your finest creation in my opinion. I’ve had it on for 4 hours now and still going strong. Brava to you! ... I am a huge admirer of your work and what you have done with the company. 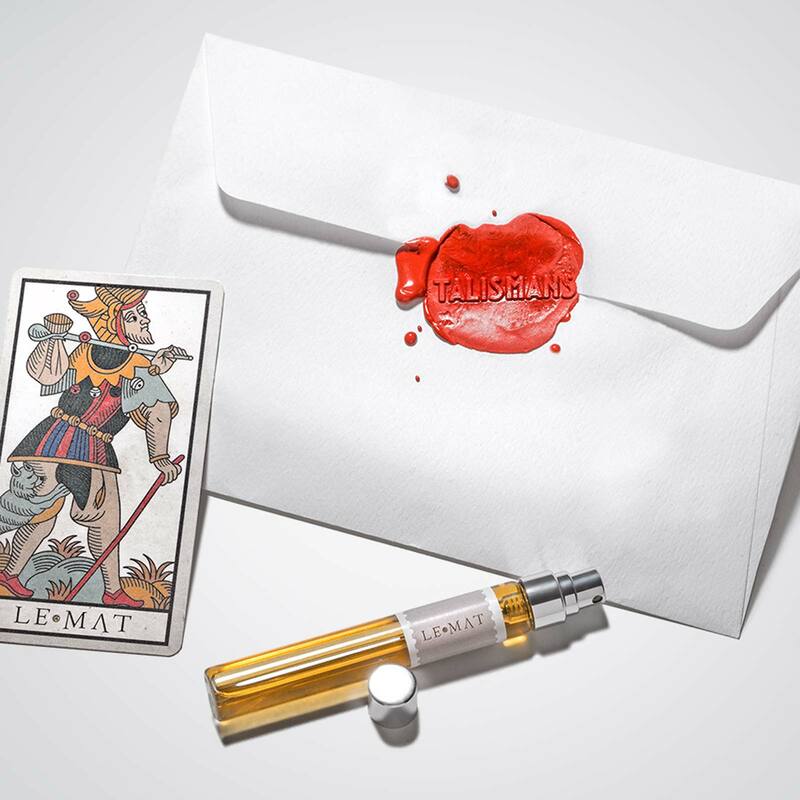 I am a perfume addict and have a big collection, but your Le Mat, Sogno Reale and Osang are among my top four or five fragrances — all of them absolutely STUNNING. 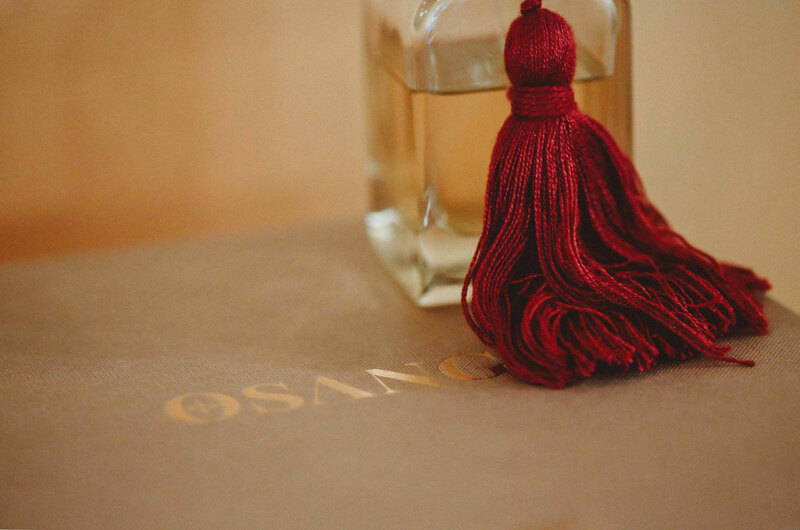 I am going to let you know that Osang is a fragrance and bottle that often finds itself wandering in my thoughts. Once I start thinking about it I can't stop. Today I received « Osang «. 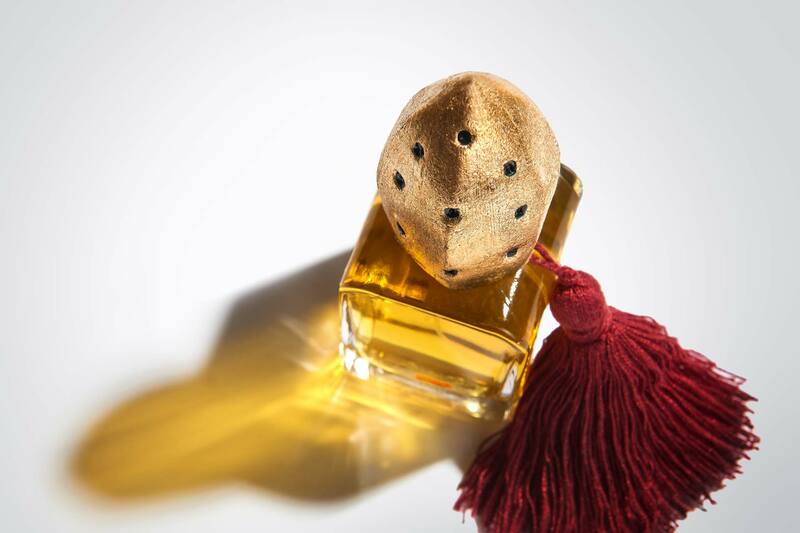 A truly wonderful perfume and a piece of art!